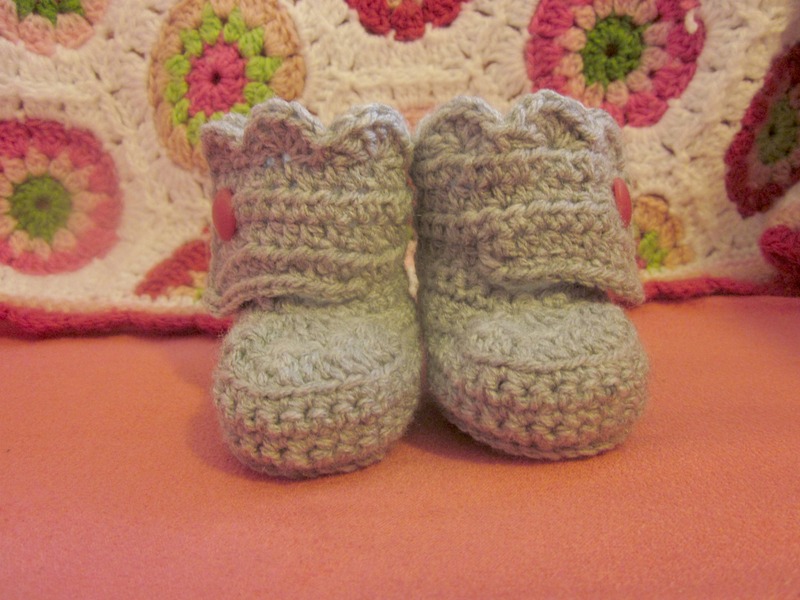 I love a new baby aren’t they just the cutest and also a great excuse to make some cute baby gifts and whats more cute then a gorgeous pair of booties with a cutie pie hat to match. 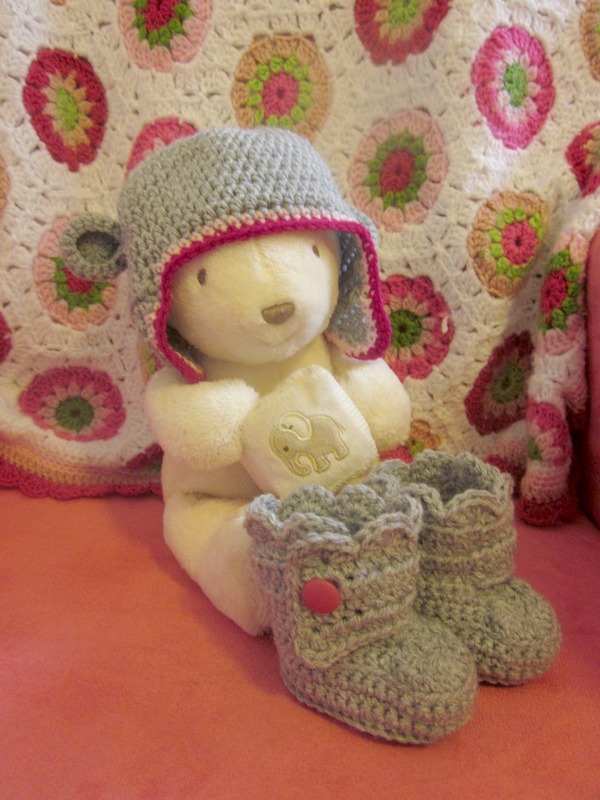 Do you recognise snowy the bear. He seems to be the designated hat model in my house. The hat pattern I used can be found over here, I’ve used her patterns before and like her blog says they are super easy, but I’m not sure if any other Aussies have this problem but American patterns all call for worsted weight yarn, which does not come in an amazing variety of colours or brands here in little aus so I just thought I would use my normal 8 ply yarn and see how it turned out. 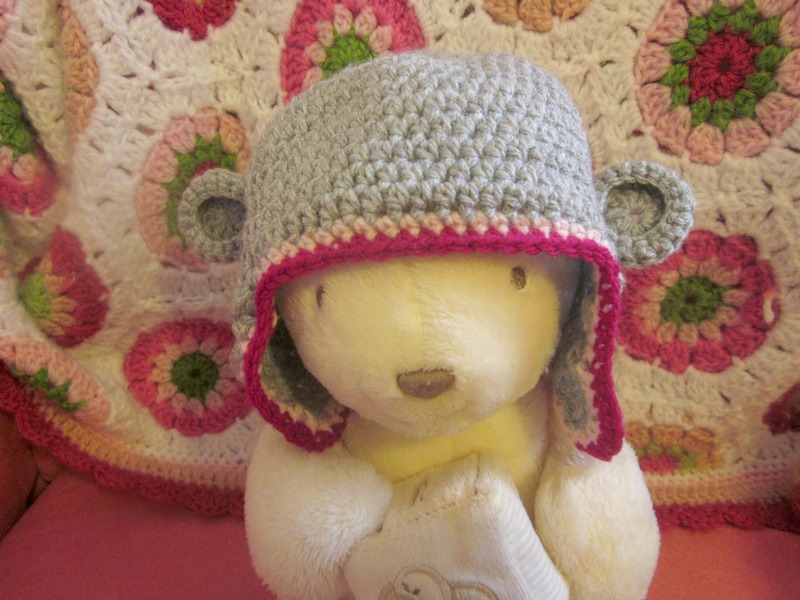 Well the hat above is made using the Teen/Adult instructions and I finally got a hat that fitted a newborn, so yarn ply really does matter hehe. 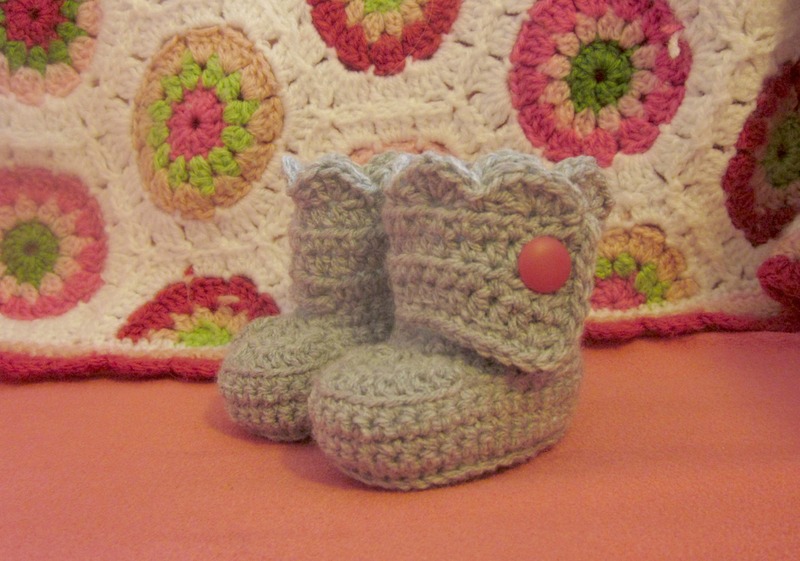 I have been hunting for a bootie pattern for quiet some time I have tried patterns out of books, free patterns on the net, and even chart patterns but I have never been able to produce a single bootie. I’m not sure why but I think like most things in my life I do it my way which means slightly wrong and so with my crochet when working in the rounds the tops of booties always end up slightly askew to where they are meant to be. 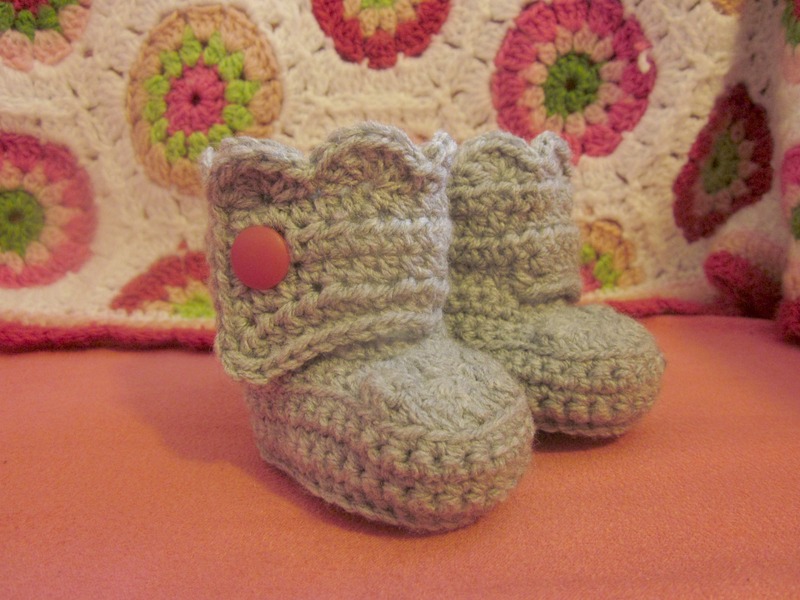 I had nearly given up on the bootie making plans for future babies but I really wanted too make those gorgeous little ugg type booties you see all over the net so I soldiered on and found this pattern. It’s worked in rows, yes you have to seam it up but hey I got to booties. The pattern is only for a shoe I improvised the top part to make a little bootie and I love them. I will definitely be making these for future babies. Simply gorgeous! I think you have done an awesome job with the bootees. They are Sooooo cute! They are fantastic! They look gorgeous. I especially like the boots! Te booties look great. I know what you mean. I like to do patterns ‘my way’, too. 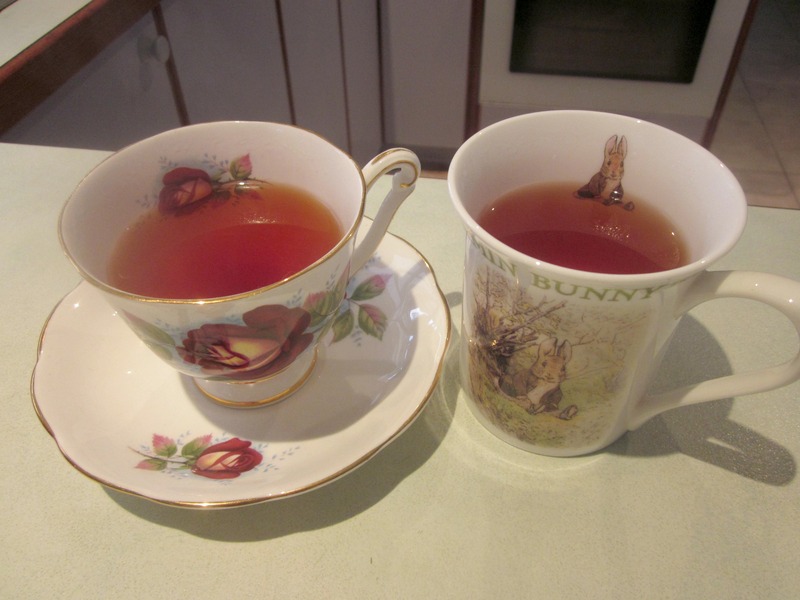 Welcome to my world!! I taught myself to crochet a year ago and have not been able to stop hooking since. Crochet has lead me into the wide world of craft and I never want to leave.